Navigating family dynamics at Thanksgiving is always a challenge and, given the divisiveness of the presidential election, dinner this year may be even more complicated. 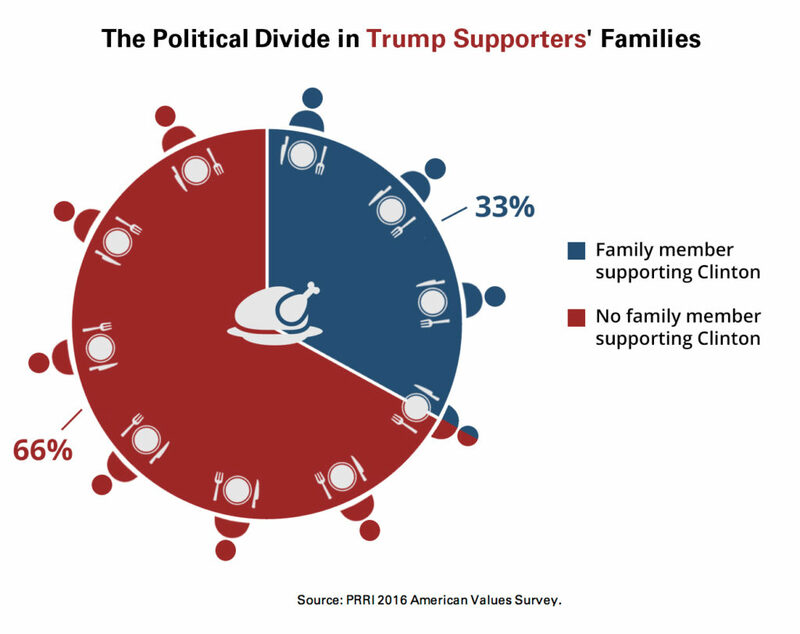 Using the 2016 American Values Survey, we took a look at how many Americans have a family member with opposing views—and uncovered similar divides in both supporters’ blocs. Among those who supported President-elect Donald Trump before the election, one-third (33 percent) said they had a family member who was supporting opponent Hillary Clinton. There is a near mirror opposite pattern among Clinton supporters. 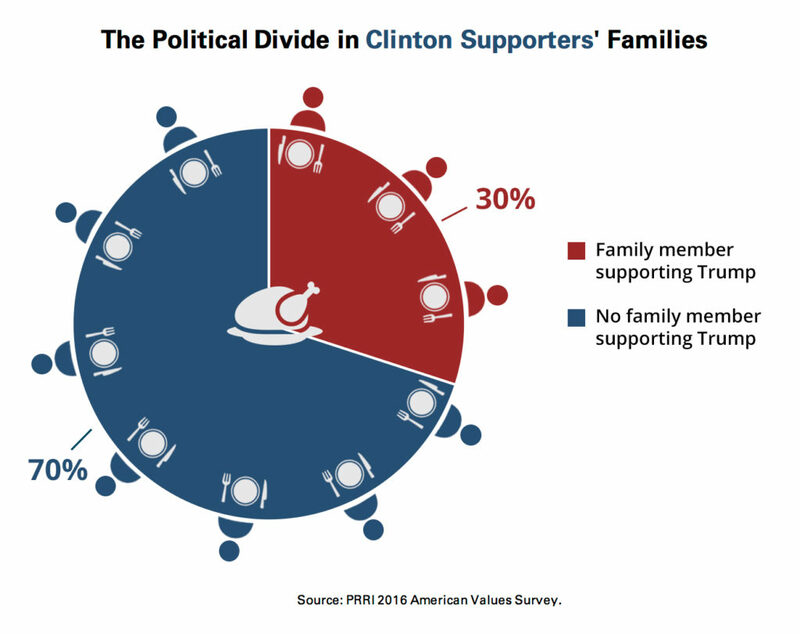 Of those who supported Clinton before the election, just 30 percent said they had a family member who was supporting Trump. In one aspect, then, Americans are not divided: Trump or Clinton supporters are about equally as likely to face opposing viewpoints from family at the Thanksgiving dinner table.